You can also download Garmin’s Training Center to run on a PC or Mac. Once again there’s no Linux version available, though I’ve used a Windows virtual machine to have a play with it. As with the web-based Garmin Connect, it seems to me to be rather limited in its analytic capabilities. So with those comments in mind, what training software have I tried and (perhaps more pertinently) use? I’ve been using VidaOne’s Diet and Fitness (VODF) since the days it was known as MySportTraining, This was largely because it had a Pocket PC version that would synchronise with the Windows version – now it also has an iPhone app. Of course it’s always been a pain to be using Windows apps when I am by and large a Linux user these days. I currently run this app in a virtual XP machine (using VirtualBox), and have training data going back 7 years. It would have been more, except for a laptop crash back in 2003 – which taught me a lesson! Using the Polar IR USB device, VODF can download directly from the Polar CS600X with power, but beyond offering a graph of power against time, seems limited in how to analyse power data. VODF doesn’t currently download GPS data from the Polar CS600X. Actually, it doesn't import FIT format files either - which is a factor worth considering when buying hardware! Most of the heart rate monitors I’ve used have been from Polar (successively the Polar Coach, S600, S720i and now CS600X), and so I’ve tried a few versions of Polar software – Polar Protrainer 5 currently, but find the interface a little clunky, though I guess this comes down to personal taste. And like VODF, it’s analytic power tools seem to be rather limited. The principal reason I keep PPT is that I can collect GPS data from the Polar. This year, as I enter my second half century, I’ve seen consistent improvement in my time trialling performances. As I write, I have ridden my best times at 10 miles (21:05, my best since 2002, and my second best time ever), 25 miles (55:29, my best since 2004) and 50 miles (1:57:45 and again, my best since 2004). So, what’s this down to? The sceptics out there seem to reckon it’s due to my new time trial bike, built around a Cervelo P3. I supect it’s more down to changed training practices. Back in mid-2009, I figured I needed to re-evaluate my work-life balance, since my working pattern was leading to ever-later finishes each day, and directly impacting on my ability to schedule training sessions. And as anyone should realise, the key to decent performance is a detailed and thoughtful training schedule. Indeed, way back when I was setting my personal best times in 2002-4 I was rigorously following Pete Read’s Black Book, which is actually a fixed schedule of sessions based on heart rate monitoring. On the basis that a change is as good as a rest, I’ve been dabbling with power-based training for my time trialling habit since October (after last year’s Duo Normand, in fact). I’ve reviewed the hardware I selected over at the Team Grumpy website – the Polar CS600X cycle computer with the WIND power meter attachment. Thus far, I’ve principally used the device on the turbo trainer bike. Despite frequently offered advice that the power system doesn’t work on a turbo trainer mounted bike, it does seem to deliver pretty robust data. I also plumped for the Polar G3 GPS device for use in road cycling. This bit of kit picks up the GPS satellite data and relays it to the CS600X head unit. My main reason for investing in the G3 was that I’d not need to get speed sensors for all my bikes. I’m pretty pleased with the G3, it seems to generally work well, once one has figured out the hopelessly inadequate documentation. The main problems I’ve faced have related to battery life (G3 uses a single AA cell, supposedly good for 10h, but I reckon less, particularly if an NiMH rechargeable cell is used). I don’t particularly like the Polar Pro Trainer (PPT) software that came with the CS600X – I have continued using the training software that I’ve used since about 2003 (VidaOne Diet and Fitness), but need to use PPT to get the GPS data downloaded. Both the Polar and VidaOne applications lose out quite markedly on the matter of displaying and analysing power data. After a spot of Googling, I came across an Open Source project – Golden Cheetah – which produces releases for Windows, Mac OSX and (most importantly) Linux. This offers a neat set of analytical tools which mean that power metering can be really very effectively used to deduce the effectiveness of training sessions. I have found Hunter and Coggan’s book Training and Racing with a Power Meter to be realy invauable in making sense of a lot of the graphs and charts that GC can use to display data. The book’s just come out in a second edition. GC aims to display data derived from a number of devices (and their individual file formats). Unfortunately the Polar CS600X produces two files – the first containing the session data in hrm format, and the GPS data within a second file in gpx format. 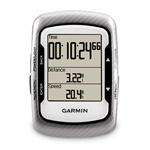 GC imports GPS data in the Garmin tcx format. In itself, this isn’t a major problem (for example the GPSies website offers format conversion, except that the session and GPS data remain in separate files. Fortunately Rainer Clasen has developed a series of perl scripts to do a number of tasks with such data files, including merging datasets – see perl Workout library. These do an excellent job, though you do need to know a little command line work. I got the scripts installed with a minimum of perl expertise (and I mean minimum! ), though there were one or two snags in the files I was seeking to merge that required a little help from Rainer (for which, many thanks). Now I’m able to merge hrm and gpx files into a tcx format file, which imports well into GC. Next on my plan is to take power-metered training out on the road. I have fitted a second Polar WIND power sensor to one of my road bikes, and over the last few weeks I’ve been evaluating the kind of training I can do with the extra information at my fingertips. Whereas on the turbo I principally use the power data to analyse my training sessions after completion, on the road I tend to keep an eye on the power output while riding. In part this reflects the nature of the sessions – extended efforts on the road vs intervals on the turbo – but also that the readings are a little more stable than on the turbo. Neatly, GC has a Google Earth display which shows the GPS track of the ride, coloured to show 30s average power readings along the ride. Now, I’m not convinced of the importance of the power colouring, but seeing the route is quite useful. Despite all this movement towards power-based training, my main emphasis has remained on using power metering to analyse the training sessions rather than dictate effort applied. In particular, I’ve been using it to estimate my threshold power in order to monitor my progress through the training schedule. Instead, I rely mostly on the physiological readout of my heart rate. What remains is to incorporate all this information into a much more structured scheme over next winter in preparation for the 2011 season.